I fell in love with the Flower Patch Stamp set and coordinating Flower Fair Framelits Dies as soon as I saw them in the new catalog!! 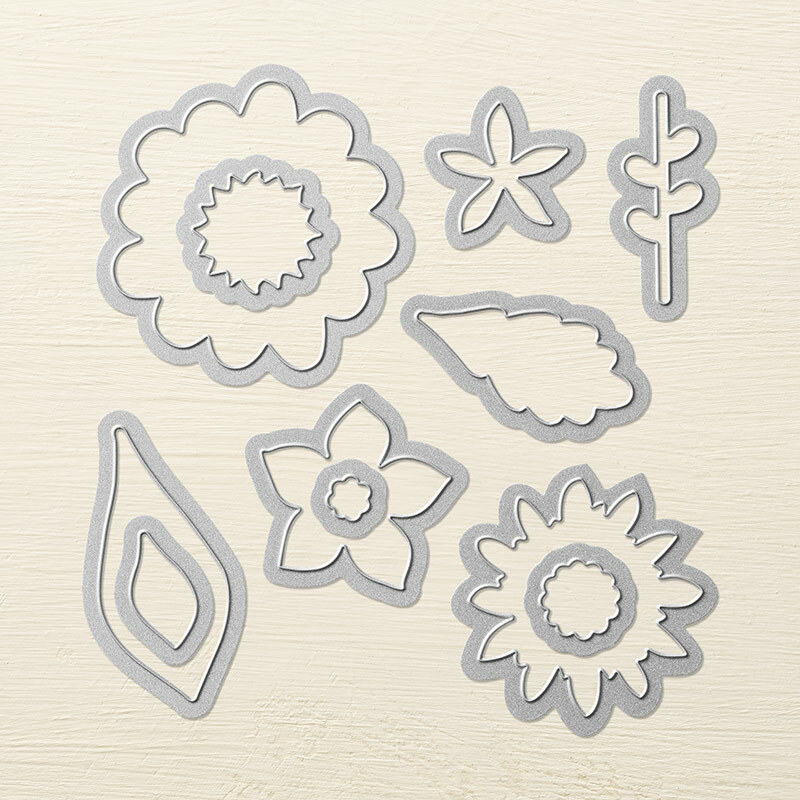 The Flower Patch Stamp set is one of our new photopolymer (clear stamps that you can see all the way thru!!) stamp sets in the Annual Catalog. 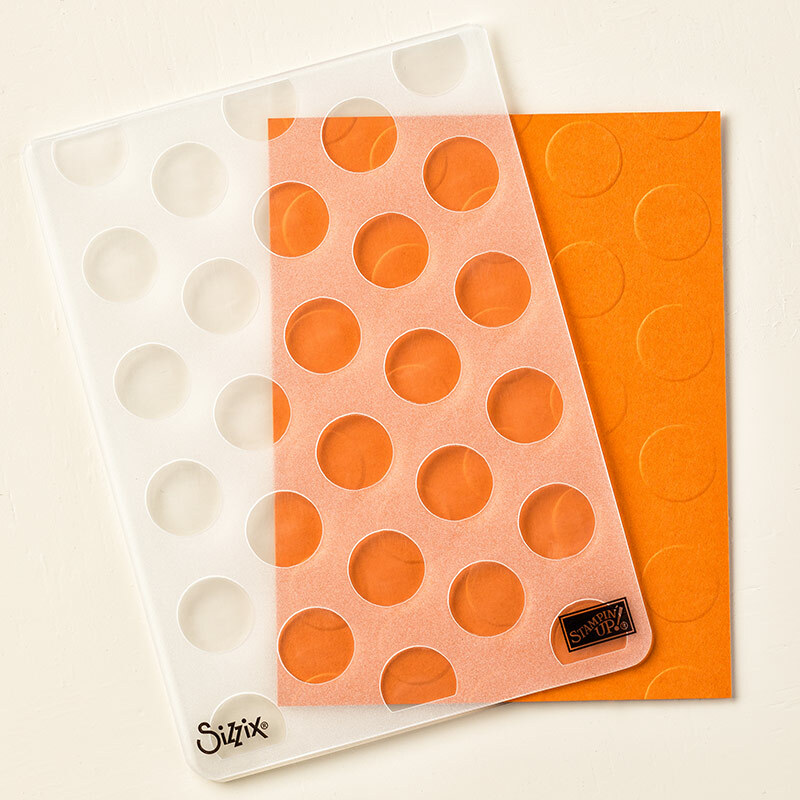 This card starts with a Coastal Cabana Card base, then we added a layer of Whisper White embossed with the Large Polka Dot Embossing Folder. Next, we die-cut that cute framed piece (in Calypso Coral card stock) using the On Film Framelits Dies. Then, the fun begins.... we stamped the first flower in So Saffron with a Crushed Curry center. The next two (large) flowers were stamped in Coastal Cabana ink. The last flower was stamped in Crisp Cantalope, then the smaller inside flower in Calypso Coral, followed by an Old Olive Center. The leaves were stamped in Pear Pizzaz and then Old Olive on the inside. Finally, we added a Subtles Designer Button tied with some White Baker's Twine to the center of the large Coastal Cabana flowers. What a beautiful card!! Inspiration for this card came from Becky Roberts, as well as directly from page 155 in the new Annual Catalog! !